The ultimate warehouse solution combines the best-in-class wireless controls, LED high bays and LED strip lights. Start with the best wireless controls platform on the market, nLight® AIR, which makes it easier than ever to achieve controllability and energy savings in your space using the intuitive CLAIRITY™ Pro App. Now, you can use nLight® AIR with the CLAIRITY™ Pro App for your best-in-class controls solution in your warehouse and industrial spaces. This combination allows you to tie in all your wireless lighting under one system, which no other lighting manufacturer can match! Finally, incorporate in the industry-leading warehousing and industrial products such as I-Beam® IBG LED High Bays and CLX LED Strip Lights. The I-Beam® IBG LED High Bay, the best-selling LED High Bay on the market, has everything you need for a general Industrial application. 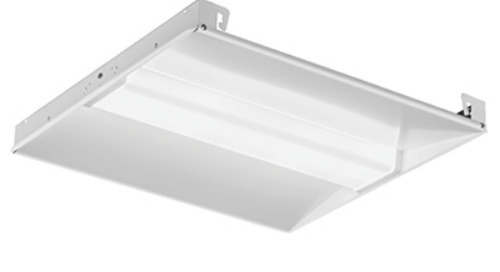 Add in the CLX series from Lithonia Lighting®, a versatile, ultra-efficient LED strip light, and you have the best warehouse lighting and controls solution.